Hey guys, so it's a skincare review from me today. I'm sure you know all about my skincare obsession if you've been reading my beauty section recently. Skincare really is my favourite thing. I always have loved skincare, I'm just cautious about what I use as I know trialling too many products can make me break out. Today though, this felt right as the temperature in the UK suddenly dropped. These are basically great products for cold weather and I'm really excited to talk about them. If you've read any of my brand spotlight posts, you'll know I use them to shine the spotlight on my favourite brands, you can read them here. 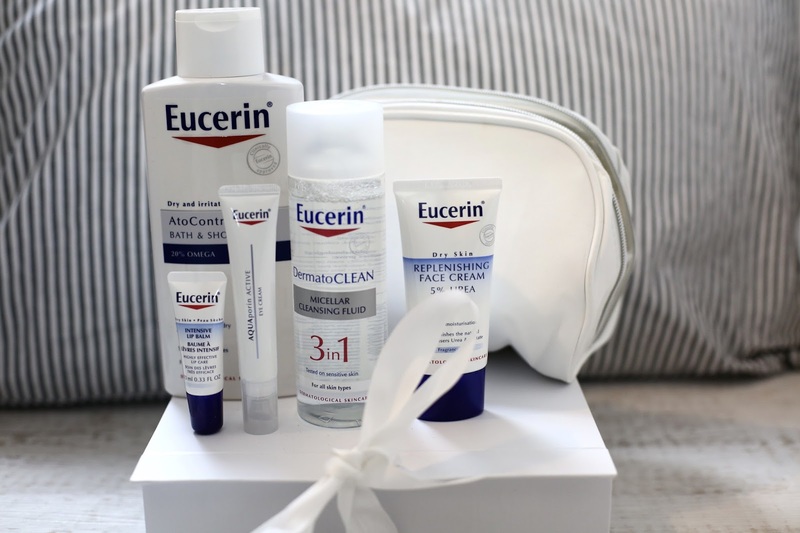 Today, we have Eucerin in the brand spotlight! 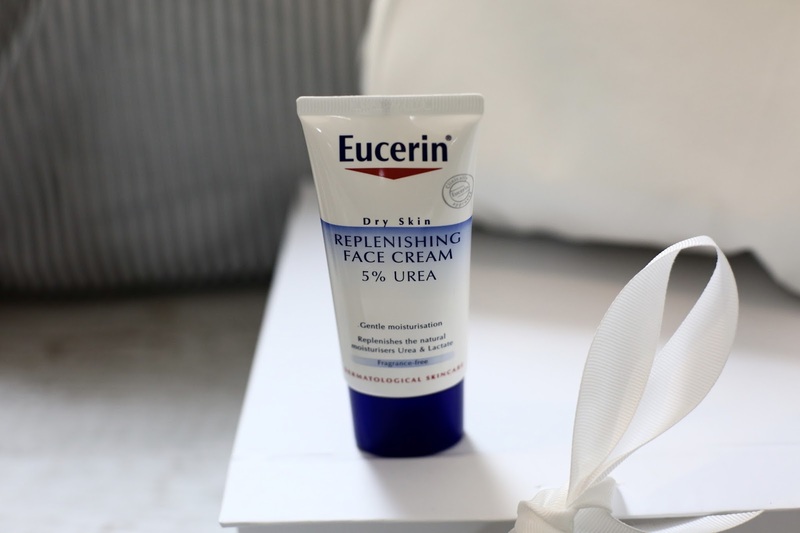 Eucerin isn't a brand I'd heard of before, but if you read my blog post about blogging and sponsored content, you'll know that I have no issue with trying new products. I actually think that's one of the joys of blogging, I get the chance to try some epic new products. Whilst this range doesn't look like YSL, Armani etc, it's powerful. 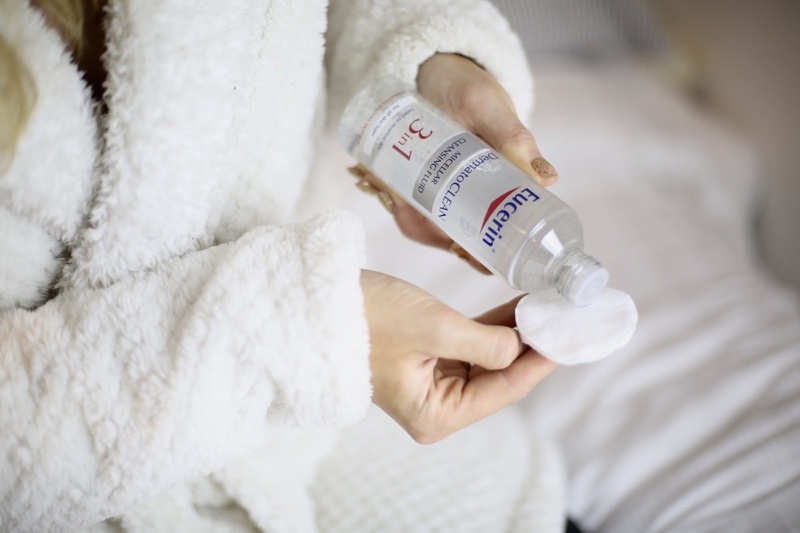 As much as I adore those brands, sometimes, with skincare, basic is the way forward and these products do exactly what they're supposed to do: care for dry skin in Winter. My Mum has always taught me the importance of using great, basic products when it comes to skincare. I'm going to go through them all and let you know what I think. These really are Winter wonders! Enjoy! 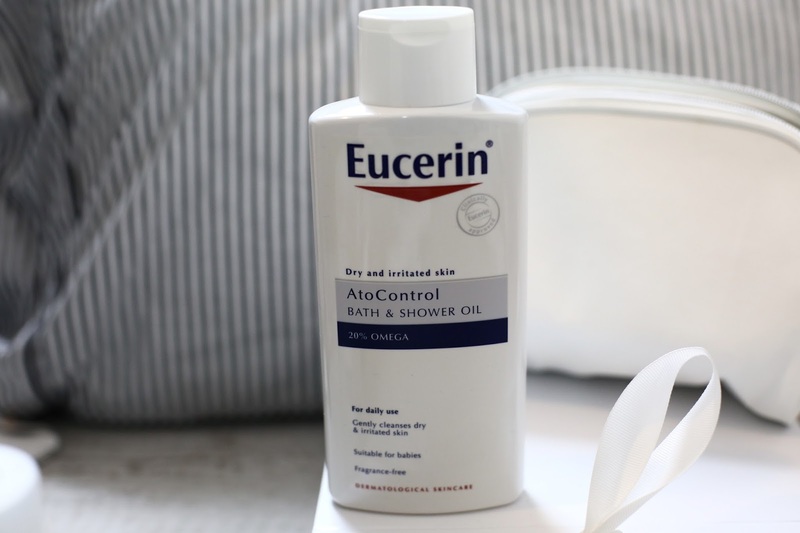 Eucerin AtoControl Bath and Shower Oil - I've actually never used a bath and shower oil like this. It's designed to gently cleanse and soot dry, irritated skin. I see this as an in shower moisturiser which is great if you're busy and not in the mood to moisturise after! I often find it difficult to moisturise afterwards because I get so cold showering in Winter! This is perfect as it contains over 50% omega oils which leaves me feeling smooth as soon as I step out of the shower! 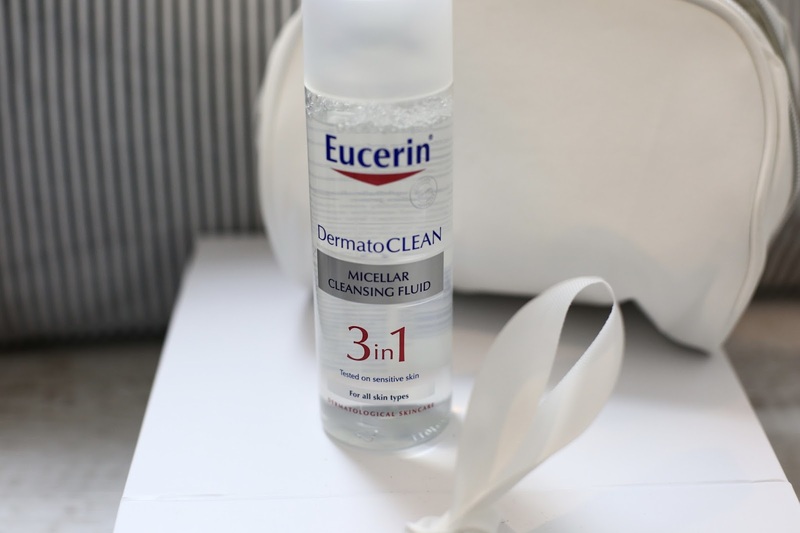 Eucerin DermatoCLEAN Micellar Cleansing Fluid - This is my favourite product by Eucerin because I'm a sucker for micellar water. When I'm in a rush, with one quick swipe I feel confident that my skin is clean without the need for a face wipe. This is mild and works for all skin types, its a 3 in 1 so it removes all make up, helps the skin breathe better, is quick to use and is perfect for sensitive skin. It's made up of APG complex which is an effective yet mild cleansing complex. Gluco-glycerol which is a naturally derived moisturising ingredient and finally, hyaluronic acid which has a high moisture binding capacity. Say hello to fresh, clean, hydrated skin. 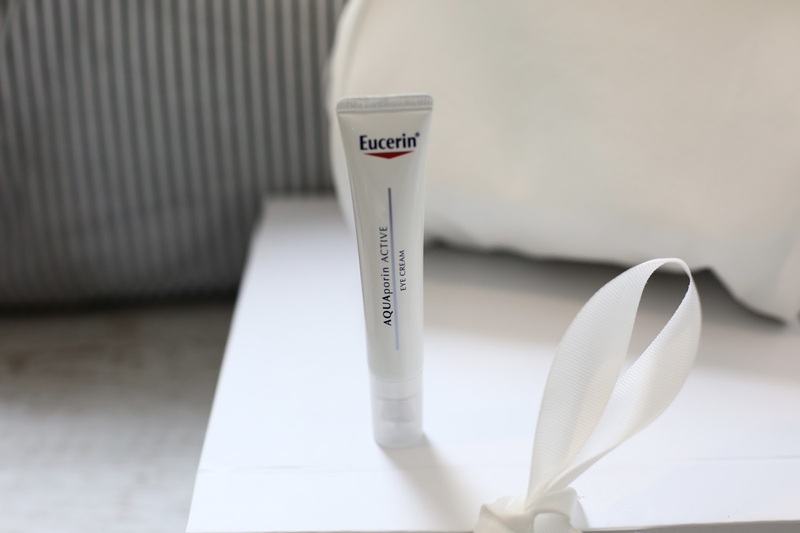 Eucerin AQUAporin ACTIVE eye cream - I'm a little bit obsessed with my eye creams because I never get enough sleep. I fear that one day, I'll wake up and have the worlds worst black bags underneath my eyes after years of burning the candle at both end. This is perfect for dehydrated, sensitive undereye skin. It provides intense, 24-hour hydration and helps to relieve puffiness and dark circles. I like it because it leaves my skin feeling so soft and radiant and it really does help to hydrate my under eye area all day. This contains Gluco Glycerol which is a state of the art hydrating ingredient, it's proven to increase the number of Aquaporins in the skin, helping to hydrate the skins own hydrating system. As I said, these products are really well formulated to naturally enhance your hydration so perfect for Winter. I often get dry under eyes, no more with this! 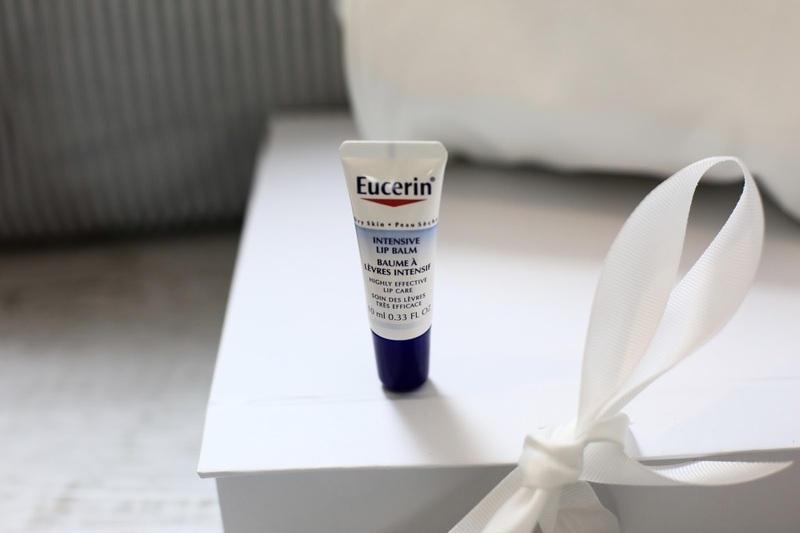 Eucerin Intensive Lipbalm - My lips definitely suffer the most in Winter and this is one of the best lip balms I've come across. It's instant and intensive for the driest of lips. It is full of active ingredients such as liquorice extract and evening primrose oil. 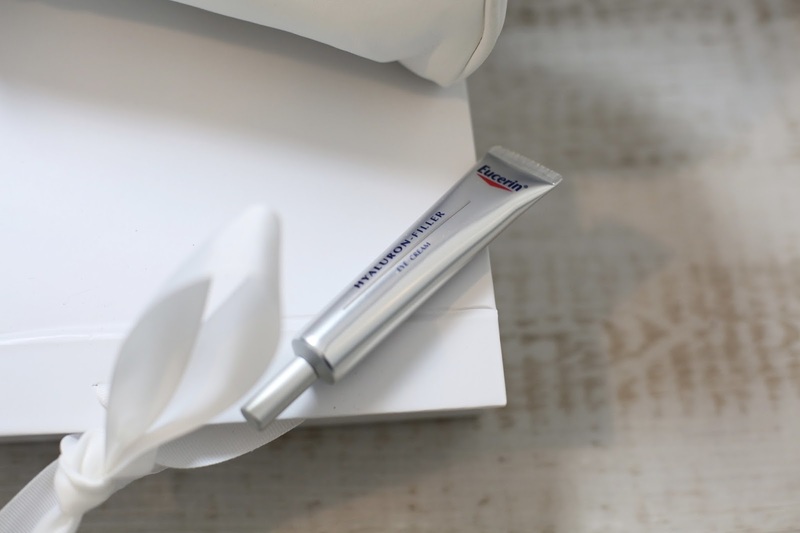 Eucerin Replenishing Face Cream - This is a gentle every day moisturiser for dry to very dry skin. Whilst my skin isn't crazy dry, I do often get dry patches and I find this really helps with those. It's enriched with Urea and Lactate, two naturally occurring compounds that bind in moisture. If you read my blog post about how I got rid of my underskin spots, you'll know that I'm massively into my skincare with natural ingredients. These reduce the feeling of tightness and give a smooth feel. I'd say this is perfect to use as a primer and day time moisturising duo or after shaving. Eucerin Hyaluron-Filler Eye Cream - Another eye cream I absolutely love. This one is made to specifically target crows feet in the eye area. It's high and low molecular hyaluronic acid works on both existing and emerging wrinkles. It also have SPF 15 in it making it perfect to reduce premature ageing. Eucerin Hyaluron-Filler CC Cream - I have loved CC creams for as long as I can remember. I'm a little bit obsessed with having a flawless complexion and find that CC creams are the best way to do that. They act as skincare whilst covering and smoothing any imperfections too. I This helps to plump wrinkles and acts as a day cream, fixing the skin whilst giving you a radiant complexion. The best piece of advice I was ever given? Start with anti-ageing skincare now before it happens! You can shop the brand online here. 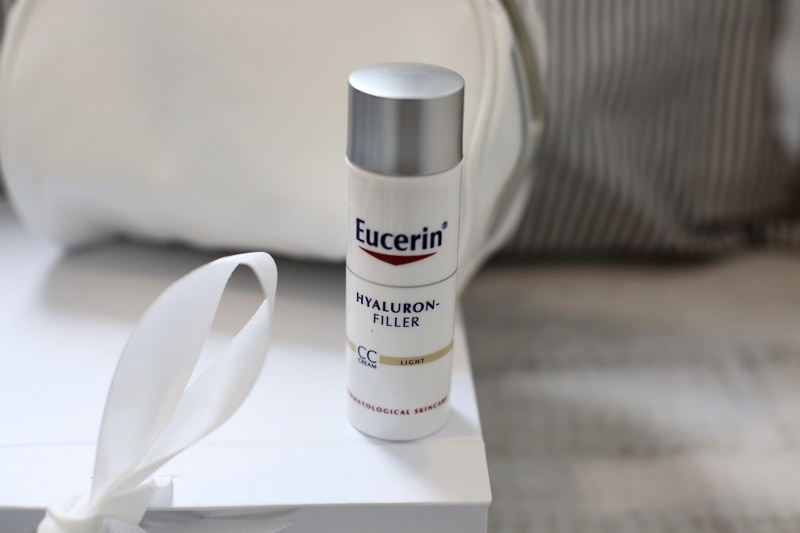 I worked with Eucerin on this post but as always, it's 100% my honest opinion. Thanks so much for reading, let me know if you've ever heard of this brand or used them! What skincare are you loving at the moment? Does your skin change in Winter?